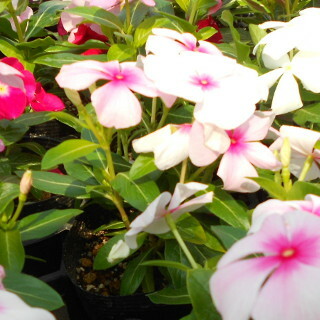 Madagascar periwinkle blooms flower day-by-day in summer. The flower has four petals. The colors are white, pink and magenta. It is called Nichi-nichi-sou in Japanese.